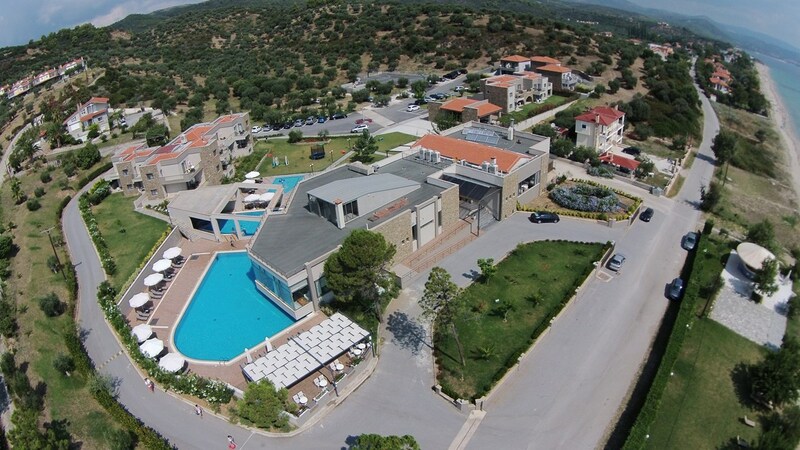 Each time you make a reservation through this website, your reservation is made directly with Krotiri Beach Resort & Spa. As such, you are guaranteed the lowest possible rate, unlike reservations made through third party systems (whose prices include the given platform’s commission). 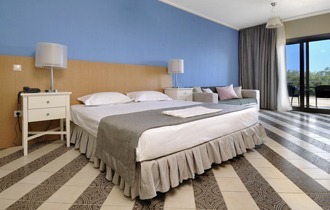 To send a reservation enquiry directly to Krotiri Beach Resort & Spa click here! 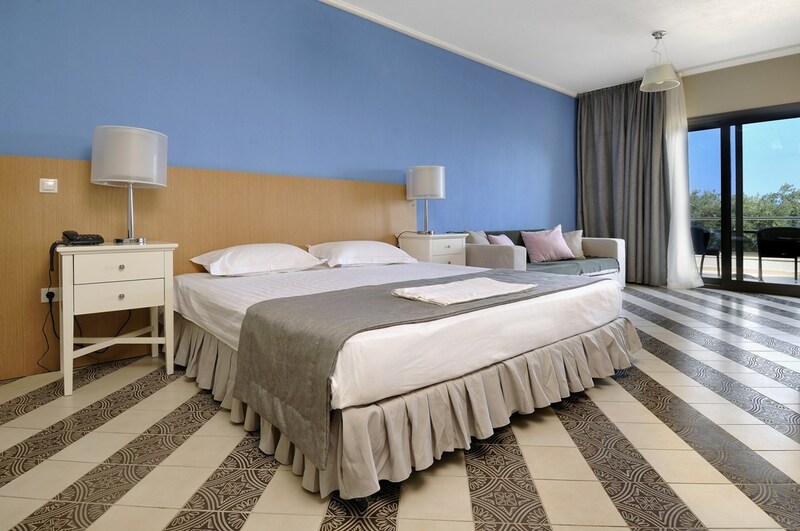 Krotiri Beach Resort is found at an exceptional location, at one of the most beautiful areas of Halkidiki, at the quaint Coast of Salonikos, at Agios Nikolaos, Sithonia. It is a pristine sandy beach with small pebbles, at the deepest point of Siggitikos Bay. 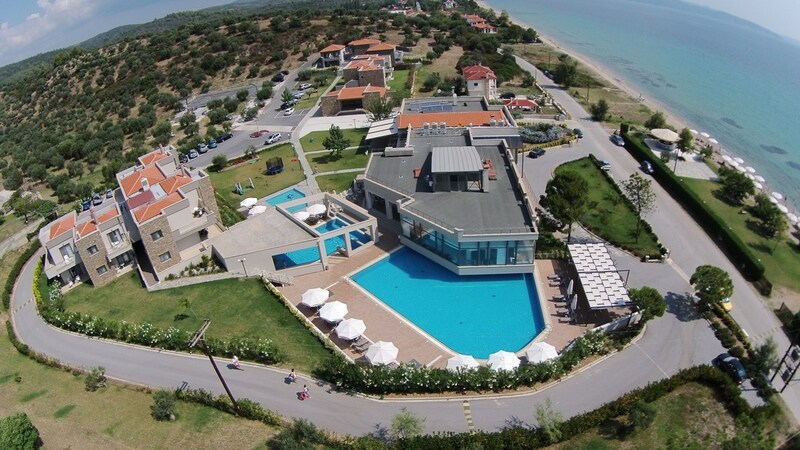 It is 30m from the sea, 9km from Agios Nikolaos, 100km from Thessaloniki's International Airport and 110km from the centre of Thessaloniki. 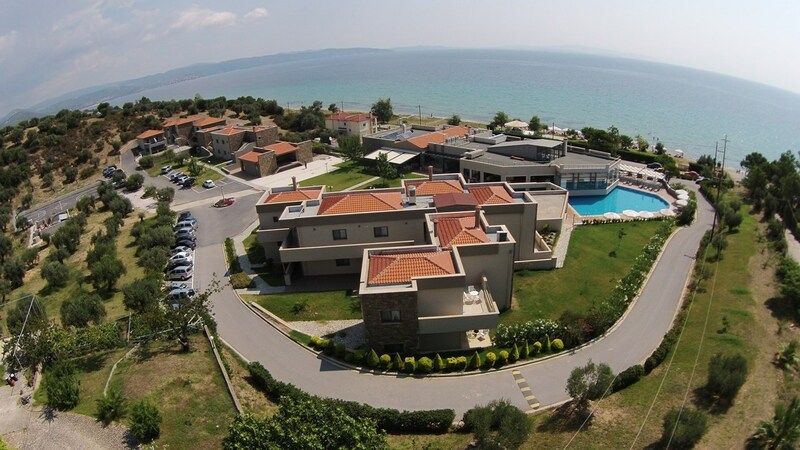 Krotiri Beach Resort is built in a marvelous lush-green environment. 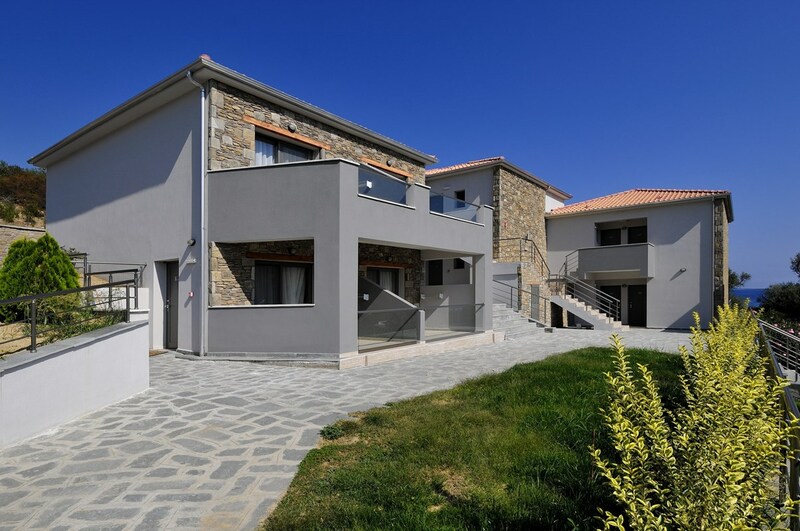 in an area of 15,000sq.m., with a magical view of Athonas. 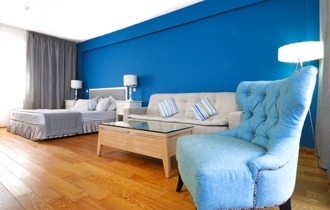 It is a luxurious family boutique hotel, which offers its guests 24 deluxe junior suites and 12 superior rooms. 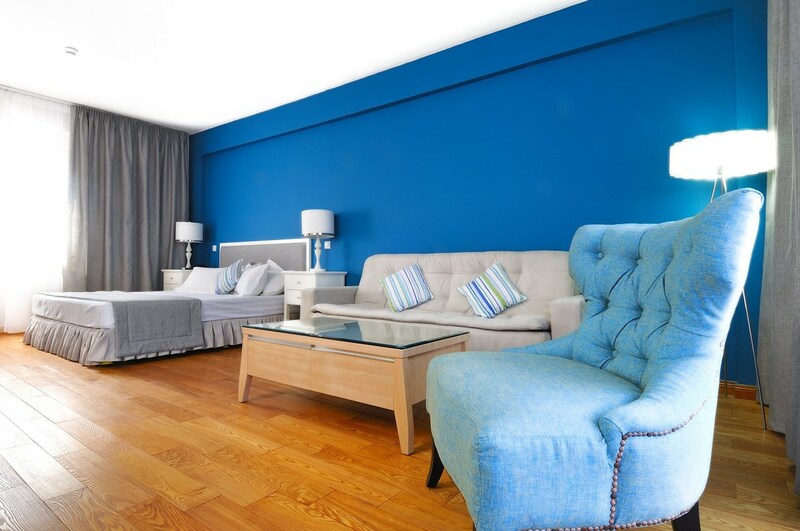 All are spacious, have modern design, are beautifully decorated and offer all the amenities required, for an unforgettable stay. 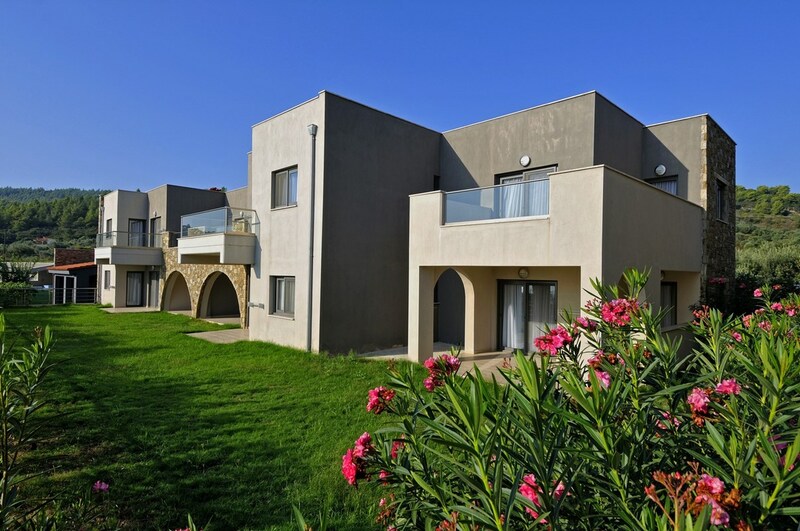 Krotiri Beach Resort also offers: parking, 2 swimming pools, beach bar, à la carte restaurants, a mini market, access for disabled individuals, suitcase storage, childrens' equipment, basketball court, and a small pharmacy.